I Feel No Love. Confessions of a Love-Not Junkie. From Feeling No Love, Buried Love, Buried Feelings, to Emotional Healing, Healing Emotions, Inner Healing. to inner healing, emotional healing. A long journey from I feel no love, to healing the emotions. We all know people who, as the saying goes, love too much. They stay even though they're treated horribly, though their partner is addicted, cheats on them, beats them. But what about not feeling love? What about people who feel no love, who don't fall in love? There are all kinds of programs for love addicts. But what is there for those who feel no love, or little love? I started thinking about that when I started paying attention to my own feeling no love - or feeling little love, anyway. I'd read the bestseller, Women Who Love Too Much. I've never heard of anything like, People Who Love Too Little. I'm not talking about sociopaths, people who have no feeling for other people, who can defraud old ladies of their life savings and feel no guilt. I'm also not talking about narcissists - again people who, deep down, care only about themselves. Grandiosity and rage. I care about people. I care not to hurt, and to be good to people. I feel guilt and shame and remorse. I want to make the world a better place. It's love that's hard for me - and even, liking. 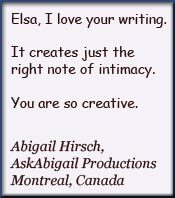 I started wondering about love stories. How often are they about love, I wondered. I've felt along with so many of those stories, and what I remember most is longing and hoping and aching. What about love - that nice warm glow? I know so many people whose lives look okay from the outside. They have things. They have partners and children and friends. Do they feel liking and loving? Some do. Many don't give any sign that they feel deep loving feelings. Maybe they do feel love and delight and joy. Or maybe they did, at some point in the past. Often, when I'm around them, I feel that a lot is missing in their lives. Do you have a hard time feeling love? Do you know someone who lives with buried love, buried feelings, who has a hard time feeling love? Do you long for emotional healing, inner healing? 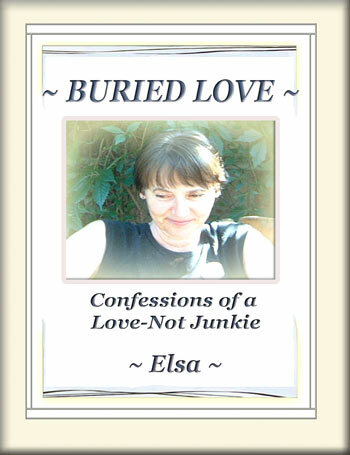 In Buried Love - Confessions of a Love-Not Junkie, the goal isn't just to chart what it feels like, living with a lot of un-love, but to see what we can do to change. We don't want to stay stuck. Or, more likely, one part wants to stay stuck, but most doesn't. It's like trying to convince a scared cat it's safe to come out of hiding. We know something is wrong. It's like having a broken leg - or heart. You don't want just a diagnosis: hey, you have a broken leg - or heart. I've done a lot of exploring to try to get past where I was stuck. Over this past year, I found a couple of powerful tools. So what good could it do, reading Buried Love? And Love-Not Junkie isn't about, "Bad you, how could you be like that?" When others notice the non-feeling, often it comes out as an accusation, an attack. "What's wrong with you, that you're like that?" That doesn't help. In fact, we're likely to retreat. Being accused just makes more barriers go up. We don't want to be like that. We may also feel ashamed, with our own inner voices criticizing us - why don't we feel more, what's wrong with us? If we have a hard time feeling love, it's that we learned it isn't safe - or maybe we didn't feel much love coming to us, and we shut down. We need a safe place to be ourselves, even while we're trying to change parts of ourselves, blocks in ourselves. "In love you could shine like a brilliant star." That was the fortune in a fortune cookie I got long ago. I longed to shine like a brilliant star in love. But how? There the fortune cookie was silent. Buried Love - Confessions of a Love-Not Junkie is about that inner journey. What good could it do, reading Burid Love? It could mean connecting, in a safe place, with a side of ourselves that's usually given way too little attention. Why do the people who love too much get so much attention, while the love-nots get almost none? Maybe because it's harder to see how it hurts us, having blocks in our loving. So what could you get from Confessions of a Love-Not Junkie? You might feel much less alone. You might feel connected to others with similar inner blocks. You might feel safe exploring this. You might get tools that work for you. Best of all, if loving isn't easy for you, you might find a way out of the love-not trap. from someone who could feel no love, but hungered for love. about the journey from feeling no love, to healing emotions, inner healing. I Feel No Love. Confessions of a Love-Not Junkie. 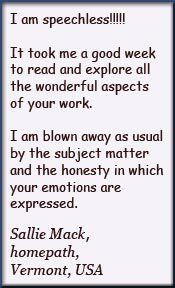 to Emotional Healing, Healing Emotions, Inner Healing. 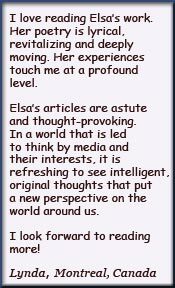 "I love reading Elsa's work ... 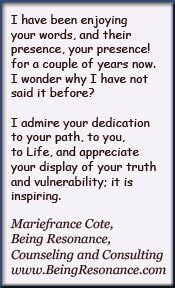 Her experiences touch me at a profound level ... thought-provoking ... intelligent, original thoughts ... new perspective ..."
"I admire your dedication to your path, to you, to Life, and appreciate your display of your truth and vulnerability; it is inspiring." blown away as usual by the subject matter and honesty ..."
to be in a wheelchair.